Fire crews prepare to fight the wildfire as it advanced toward Silver Avenue and homes next to the road Wednesday afternoon. Firemen from the Tooele City Fire Department battle flames at a water tank . The roof of the tank collapsed. 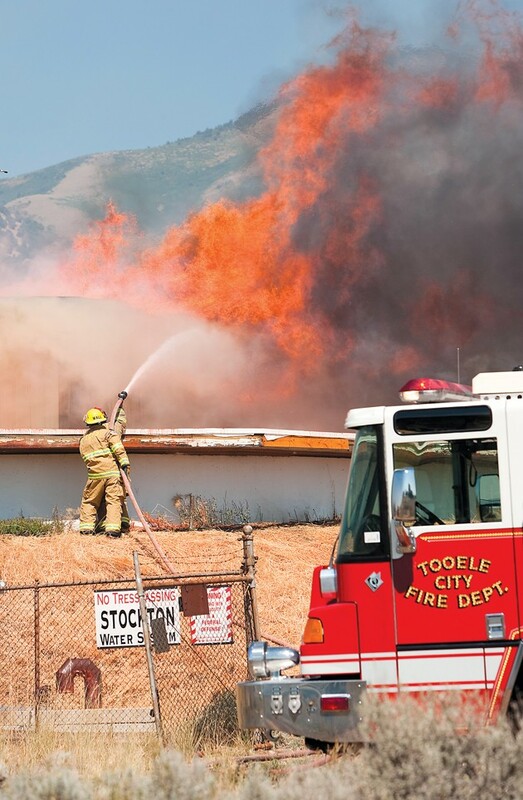 Due to fire retardant in the tank, Stockton’s water system is unavailable for use until further notice. 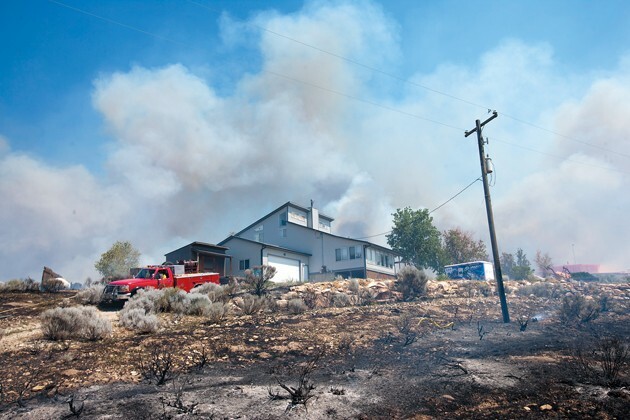 Crews were able to defend all homes threatened by the fire. A firefighter sets a back fire to control flames near Stockton’s Silver Avenue on Wednesday. Residents extinguished flames that jumped Silver Avenue, preventing the fire from spreading to the west and nearby homes. 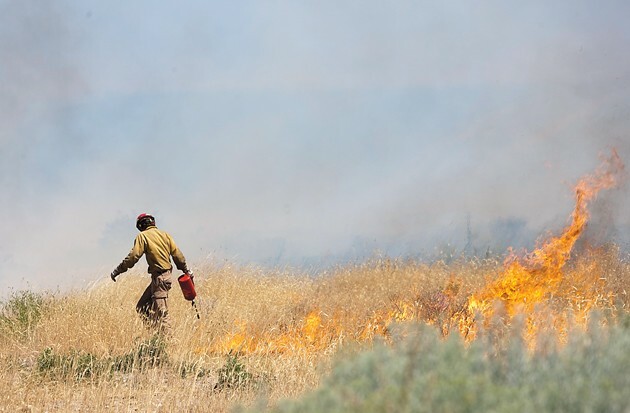 A swift, coordinated response by firefighters and residents saved Stockton from a wildfire that threatened homes, forced evacuations and contaminated the town’s water supply. 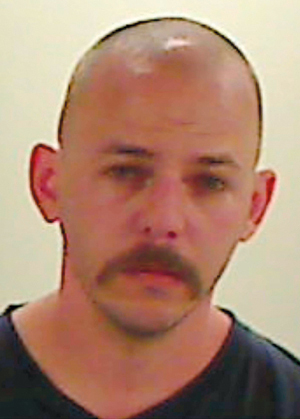 Tooele County Fire Warden Tom Wilson confirmed that a suspect, Timothy D. West, 27, of Stockton, was arrested Wednesday night for allegedly starting the fire, which burned 179 acres, but did not destroy any homes. According to a probable cause statement, West later admitted to investigators that he started the fire with matches and was arrested for alleged arson, criminal mischief and obstruction of justice. 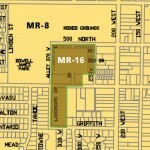 Although fire crews on the ground and in the air spared several homes located primarily east of Silver Avenue and Copper Street, one of the town’s main water tanks was contaminated with fire retardant as firefighters tried to save a control house on top of the tank. Stockton Mayor Mark Whitney said today that the community has been placed on a “no use” order of drinking water from the town’s water system until further notice. He projected the order may last 24-48 hours until the water system has been cleared. In the meantime, he said, drinking water has been trucked in and is available at Stockton Town Hall and the LDS Church in Stockton. Bottled water is also available at the Stockton Fire Department. Wilson said mop-up crews worked throughout the night to make sure the wildfire did not reignite. At 7 a.m. today, the evacuation order was lifted and affected residents were allowed to return to their homes. 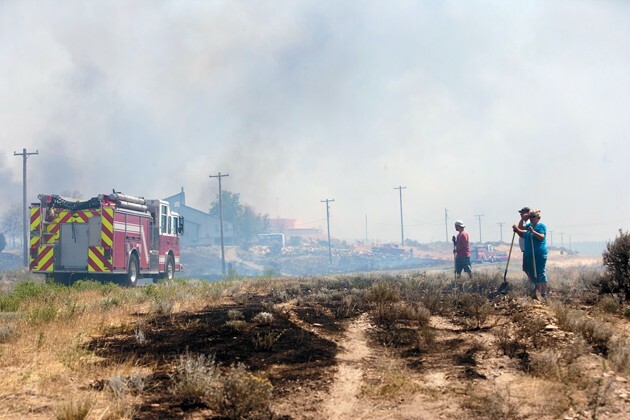 Bucky Whitehouse, emergency services director for Tooele County and assistant fire chief for the Tooele City Fire Department, said the wildfire started in the foothills east of Stockton around 2 p.m. 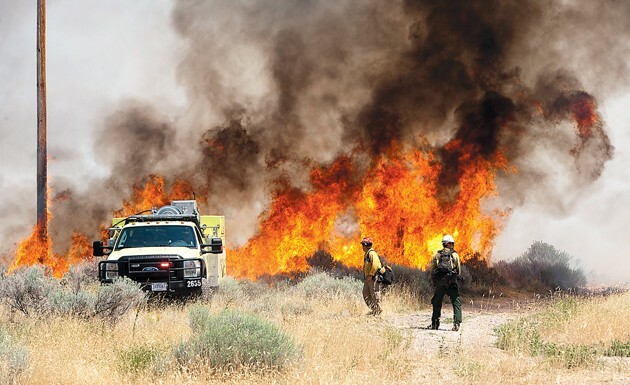 Driven by northerly winds, the fire quickly moved toward the south, consuming dry grass, sagebrush and juniper trees. But Whitehouse, who was incident commander for local agencies during the fire, said wind gusts from the east pushed flames westward. Homes on Johnson and East Clark streets, and 150 East were threatened, but fire crews successfully stopped the flames from advancing and hitting residential areas there. “The erratic winds made it challenging,” Whitehouse said. Those same erratic winds further pushed flames toward Silver Avenue, where the road turns from east to southeast. Although flames entirely surrounded homes in that area, fire crews on the ground and in the air were able to save the residences. A shed behind one home, however, was destroyed. Bonnie Sweat was one of about a dozen Stockton residents who had to evacuate and whose home near Silver Avenue had been surrounded by flames — yet was saved from destruction. She was at the Stockton Post Office when she first noticed smoke rising to the east. Sweat raced to her home and loaded her three horses and two peacocks before the area was sealed off. She was helped by neighbors. Wilson, who was the incident commander for federal agencies and air assault on the fire, said vegetation east of Stockton was “primed and ready to go,” and with the high winds, it made for a highly dangerous situation. 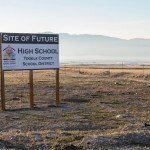 He said responding fire agencies included Stockton Fire Department, Tooele City Fire Department, North Tooele County Fire Department, Rush Valley Fire Department, Tooele Army Depot Fire Department, and Bureau of Land Management fire crews. The fire warden said there were approximately 100 firefighters on the fire. A contracted helicopter and two single-engine air tankers deployed aerial retardant. 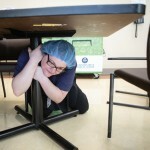 No injuries were reported, and damage costs have not yet been determined. He added fire conditions across the county are high and urged for residents and visitors to use caution when exploring in the county’s outback. He advised motorized vehicles be kept on roads to avoid accidental fires in adjacent vegetation. Whitehouse said mop-up operations may continue for 2-5 days to make sure that all lingering flames and hotspots have been extinguished.